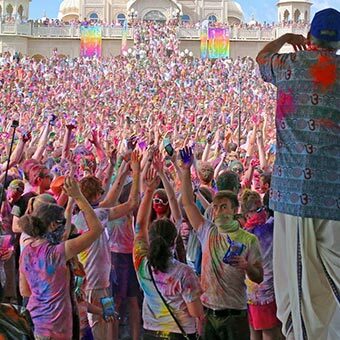 In India, Holi announces the arrival of spring and the passing of winter. The festival breathes an atmosphere of social merriment. People bury their hatchets with a warm embrace and throw their worries to the wind. Every nook and corner presents a colorful sight. Young and old alike are covered with colors (red, green, yellow, blue, black and silver). 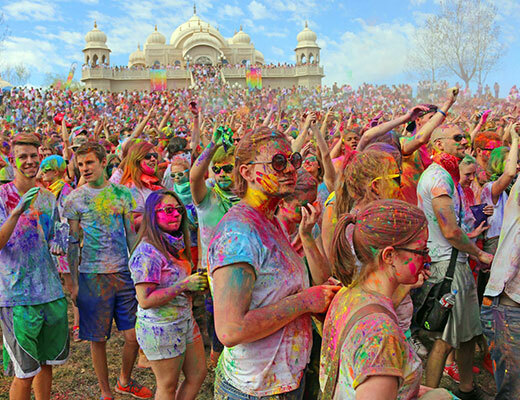 People in small groups are seen singing, dancing and throwing colors on each other. Though liquid colors are used in India (where it’s warm) we prohibit them, as we don’t want anyone to catch cold on account of the festival. Dry is better for photographs as well. 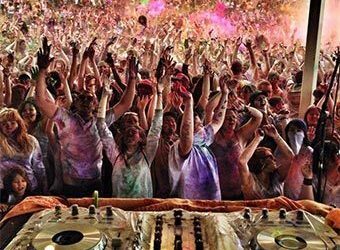 The color, noise and entertainment that accompanies the celebration of Holi bears witness to a feeling of oneness and sense of brotherhood. The festival brings home the lesson of spiritual and social harmony!! 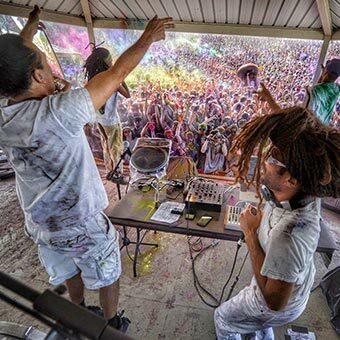 Posted in Festival Of Colors.